Protects carpets floors and furniture, etc. 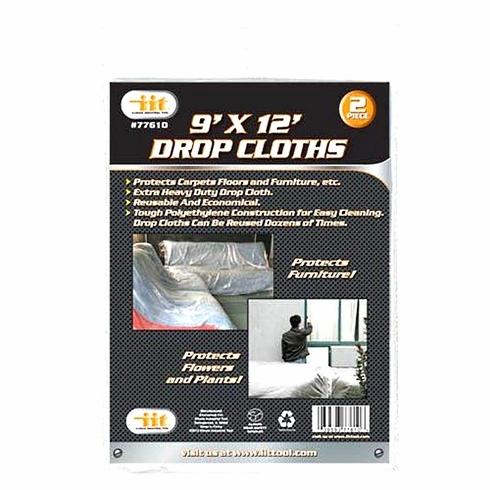 Extra heavy duty drop cloth. Tough polyethylene construction for easy cleaning. Drop cloths can be reused dozens of times.